Stay up-to-date with the latest men’s tennis news and tournament results. 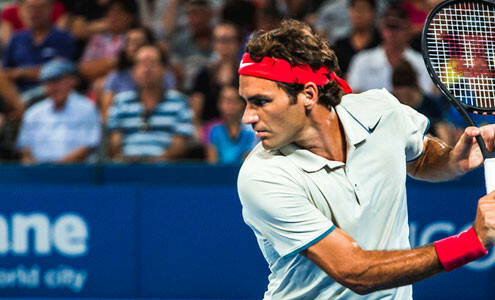 Are you a tennis fanatic? If so, then you most likely don’t just read and follow men’s tennis news… you live it, you feel it. Like the last time you flipped on the TV to watch Federer play Nadal in the finals of a Grand Slam. If you’re like us, you get goosebumps, butterflies in your stomach as you’re completely filled with excitement – like a kid at a candy store. That’s right. We know you love it, and we’re right there with you my friend. We eat, sleep and breathe tennis. As our friends over at Babolat say, #tennisrunsinourblood. In fact, we’re so obsessed we spend our days scouring the web in the search of the very best men’s tennis news. We’re not the firehose, you know where to get that, instead we’re in search of stuff that matters. The men’s tennis news you absolutely can’t live without, the stuff that inspires and keeps you coming back for more. As a community of tennis enthusiasts, we’re lucky. Each year the ATP hosts over 60 professional men’s tournaments, including 4 Grand Slams and a few tournaments at some of the most stunning locations in the world. Add to that a diverse field of international competitors and you’ve got something truly special. So when you turn to get your daily intake of the latest men’s tennis news stop by and check us out. We’re on it 24-7 to bring you the latest and greatest. Just sit back, relax and enjoy! You can also find us on Twitter, Facebook and other social media outlets. See you on the court!